I’m a big proponent of letting your hair dry naturally, but many times that’s just not possible. Fortunately, there are good quality hair dryers available that work with you to prevent heat damage. There are also useful methods for how you can blow dry your hair without damaging it, and I’ll talk about those later. Since I don’t have all the time in the world to let my hair dry every time I wash it, I need to use a hairdryer sometimes. So, investing in a good hairdryer which doesn’t cause damage and can dry the hair quickly is an important investment for anyone who is trying to grow and maintain long hair that is healthy. At least 1800 watts and above. Remember that you’re investing in something that you are going to be using often and possibly for years. So think about that when deciding which one you want to go for. 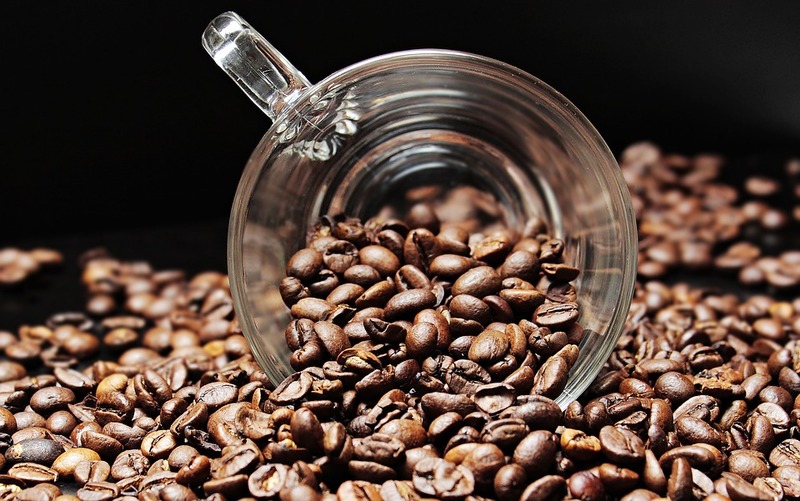 Choosing a quality product will always give better results. I have listed below three different Hair Dryers that will dry and style your hair without causing hardly any heat damage (if any) in the process. A great hair dryer from Kadori, which is a more affordable hair dryer for most people, yet still provides a good and fast blow dry. I’ve put this as the first choice because not only is it within the price range for most people, you get the most ‘bang for your buck’ as it has all the features that I’ve talked about here. This hair dryer also has other features like wind speed power settings, 3 temperature settings, and a cool shot button. Its affordability is reason enough to invest in this hair dryer. It is a more entry-level professional hair dryer but certainly doesn’t lack the quality that you’d expect from one in this category. Using the LI A 2500 x-air technology, Kadori claims that its hair dryer can reduce time to trying by up to 70%, which means much less heat damage. Not bad for a lower priced, professional hair dryer. This hair dryer works great for people with thick hair and also generates negative ions, meaning you can dry your hair much faster than with regular cheap blow dryers. Some people report that they have seen their dry time reduced by 5 – 10 minutes compared to their previous (cheaper) hair dryer. It’s ceramic, which means you’ll get a much faster drying time and it’ll be healthier for your hair as the heat is spread more evenly and not concentrated in one area. This hair dryer also contains many of the features that you would generally expect for a mid to high-end hair dryer. It has 2-speed settings, 3 heat settings, a cool shot button to get that awesome finish, and a long chord. This hair dryer is an excellent choice if you want a quality hair dryer which will cause minimum damage to your hair, and also not break the bank when it comes to cost. So, you’ve probably heard of Dyson vacuum cleaners, which are pretty good! Well, you can expect nothing less from their Supersonic Hair Dryer. This hair dryer meets all of our criteria and some more. It contains smart technology using its microprocessor to measure the temperature of the air flow at 20 times per second, and intelligently adjusts the heating element as you dry your hair, which means that your hair never overheats and you don’t risk damaging your hair because it stays at a constant temperature. This will help you keep the natural shine to your hair, and avoid that dull look, which can occur with hair that has been damaged by heat. The hair dryer comes with many features and accessories such as Heat Settings, 3 Airflow Settings, Cold Shot, Ionizer, Filters, Concentrator, Diffusor and more. So, you’re well equipped to style and do your hair however you want. The Dyson Supersonic Hair Dryer is rather expensive, but this hair dryer would be my top pick. However, due to the price of it, unless you really just want the top of the line, it’s probably not for the average person who just wants to get a decent blow dry. 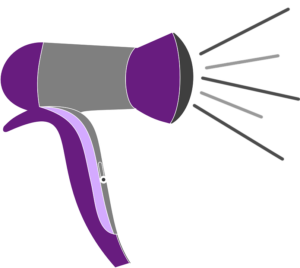 Watch the video below to find out the hair dryer works to prevent damage during blow drying. 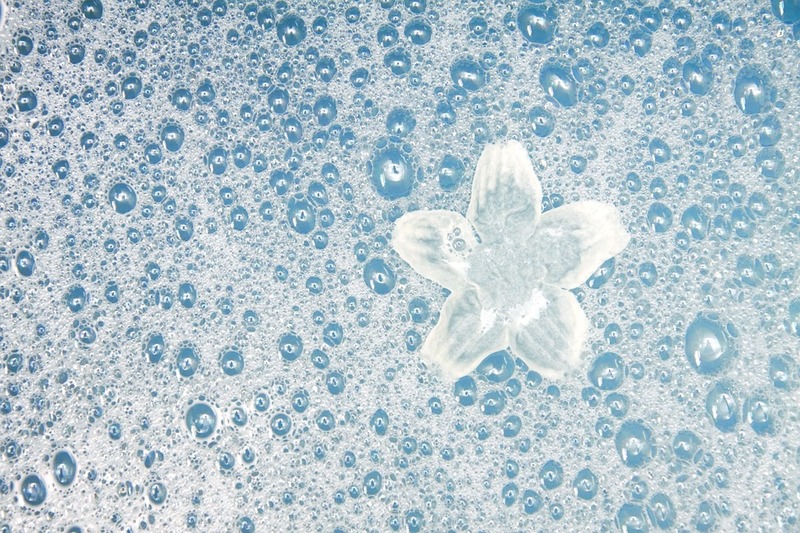 How their technology helps prevent damage when blow drying. There are a few important things that you need to look out for if you want to buy the best hair dryer to keep your long hair looking healthy and attractive. Not investing in a good quality hair dryer will make it much more difficult to maintain long hair, unless you have your own schedule and aren’t ever leaving the house. Below are a few tips on how to choose the best hair dryer to prevent hair loss. Choose a hair dryer that has more power. I would recommend a hair dryer that is at least 1800 watts. 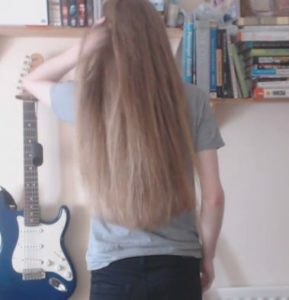 If you have thick hair like me, you probably want to go for something a bit more powerful. The less time that you have the hair dryer heating your hair, the less damage there will be. If you want to dry your hair fast, then look for an ionic function on the hairdryer. This will help evaporate moisture more quickly, and so you’ll spend less time blow drying your hair, which again means less damage. 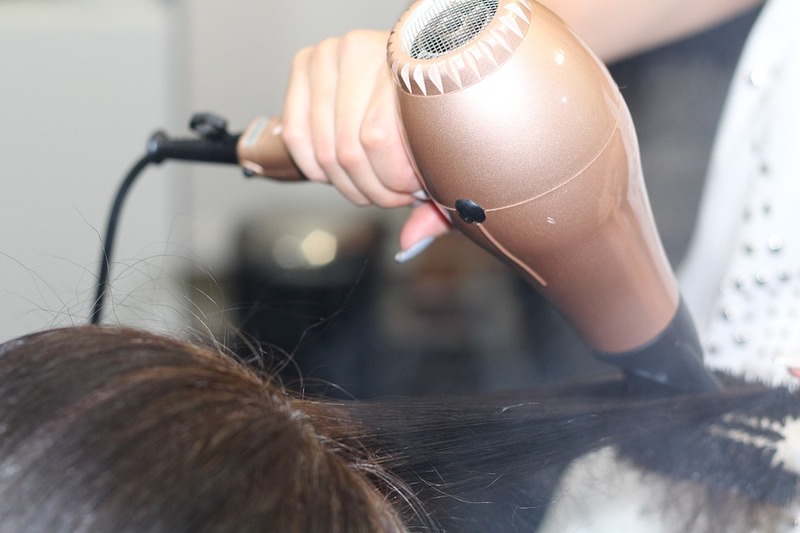 To help diffuse or concentrate heat, many hair dryers come with attachments that will be useful depending on your hair type and how you want to style your hair. Attachments like concentrators and diffusers are important for certain types of hair, different styles and protecting from concentrating too much heat in one area. You’ll want blow dryer that has various heat settings. This seems like a no-brainer, right? We need more speed and less heat. A cool shot button is also useful to prevent over-drying of the hair. When your hair is mostly dry, perhaps a little damp, just use the cool shot button and finish off. Many of the professional hair dryers are made with better quality materials and so they will last longer and feel lighter than the cheaper models. Having a longer power cord is important for a couple of reasons. One reason is that it’s safer and gives you more room to move around. If you’re drying someone else’s hair or your own, and the power socket isn’t near, then having a longer cord is useful. It’s also not recommended to use an extension cable to these devices either because of the power they draw. If you’re drying your hair incorrectly, then you can easily damage your hair, making it look dull and dry. But I guess you probably know that by now. There was a study that really surprised me when I read it a few years ago. 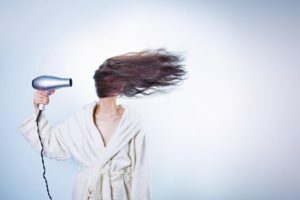 It basically shows that not only can you dry your hair with very little damage, but drying your hair with a hairdryer is less damaging than air drying! As long as the temperature did not exceed 95 degrees C, and the hairdryer was held at a distance of approximately 15 cm with continuous motion, there was actually less damage than drying the hair naturally. If you were to use the Dyson Supersonic Hair Dryer then these overheating issues won’t be a concern because their microprocessor enables the hair dryer to automatically adjust, so it remains at a constant temperature. But if you’re using some of the cheaper options, like most of us, then this is good news because no longer do we have to worry so much about damaging our hair when using a hairdryer. Dry Shampoo – Good or Bad?